Microsoft Dynamics 365 is the next generations of business applications that enable your organization to grow, evolve, and transform by breaking down the artificial silos of ERP and CRM. 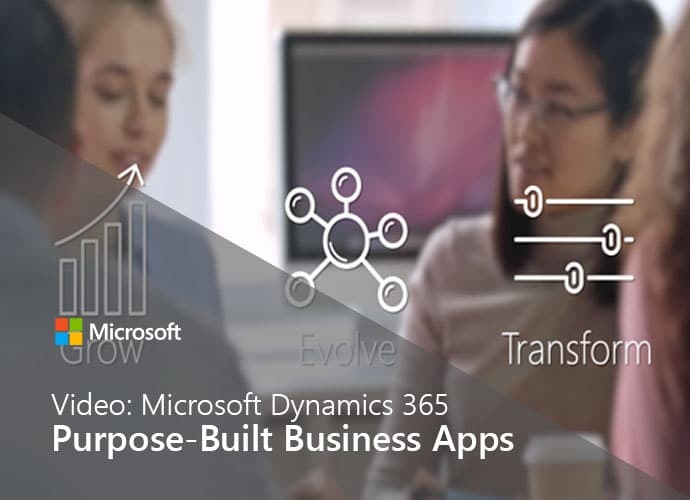 Dynamics 365 delivers the future of new purpose-built applications in the cloud designed to work seamlessly together so you can build as you go. Dynamics 365 applications fit across roles and industries to help your business evolve across sales, customer service, field service, operations, financials, marketing, and project service automation. Dynamics 365 is flexible, meaning that you can start with what you need and grow at your own pace by adding applications to run your entire business as you need them. The cloud enables your organization to grow and transform with Dynamics 365.